#浩然山庄 #Horizon Hills #两层半田字屋租售Cluster House. 2sty House for Sale @ Kg Tasek Tambahan, Ampang. Apartment Servis Sentrovue Puncak Alam. BKT JALIL - Z RESIDENCE FOR SALE. Putramas ii Condominium Unit For Sale. Uni Parkland Bungalow @ UTP Tronoh Seri iskandar. Austin Heights Kiara 1 Cluster House 2-Storey. FOR SALE: 2 Sty Double Storey LAMAN AZALEA Nilai Impian Negeri Sembilan. FREEHOLD !!! New Luxury Condo Close To KLCC. 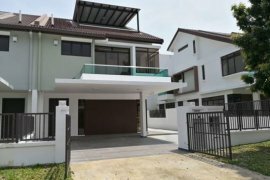 2 STOREY LINK HOUSE AT PUTRA PERMAI, SECTION 10, PUTRA HEIGHTS. Desa Cemeerlang Detached Factory for Sale & Rent. 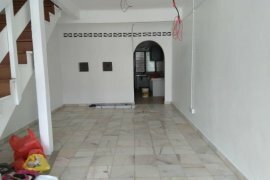 Puteri Wangsa 2-sty Terrace for Rent. Corner Shoplot for Sale in Sec 7 Shah Alam. Bandar Sunway NEW PROJECT NEAR LRT STATION. City Height Apartment, Sungai Chua, Kajang..
PRIME AREA KOTA LAKSAMANA FACING THE WAVE RESIDENCE MAIN ENTRANCE. Hello, Please contact me, I am interested in properties for Sale in Malaysia. Best Regards.